If there is a mind body connection, and science has proven there is, then self healing must be possible. If we can create ill health, to some extent, through our thoughts, feelings, attitudes, beliefs and behaviors, then it makes sense that we can also heal ourselves to the same extent. Many people don't want to admit the possibility of a mind body connection. They feel that it means they are guilty of wrongdoing and must blame themselves for some transgression. Nothing is further from the truth. Most of us have lived our lives quite unaware of the mind body connection and how our negative thoughts and feelings can impact our health and well being. As poet and philosopher Maya Angelou said, "I did then what I knew how to do. Now that I know better, I do better." Now we are learning and know better. We can move on from blame and shame to self healing. First and foremost, self healing begins with forgiveness. You must become willing to forgive yourself for your role in creating whatever ill health or negative life events you may be experiencing. Forgive, learn and move on. Blame and denial both keep you in the negative state that helped to create ill health in the first place. Forgiveness paves the way for renewal and health. Dr. Joan Borysenko, co-founder of the Mind/Body Clinic at Beth Israel Hospital in Boston, talks about the mind body connection when she says: "Developing mindfulness of the connections between mind and body is a form of intelligence just as important as IQ, EQ (emotional intelligence), or social intelligence. We can train ourselves to be more aware of the mind body connection and to create health-producing thoughts. Begin today to look at ways to become more mindful of your thoughts. Search for the truth of what you really believe in and how those beliefs affect you and your view of the world, the people around you and even how you treat yourself. Sometimes I am astounded at the negative core beliefs I have about something that is buried pretty deeply. Changing those core beliefs, even just a little bit, into something more positive, can change your life immensely. Begin today to look for ways to feel happy, even if it is just for a few moments at a time in the midst of a hectic or less than perfect day. Begin today to develop a daily routine that supports a more positive outlook. Here are just a few of the self healing and spiritual cleansing techniques you can use to bring about a more positive attitude and more positive behaviors. Most of us have many positive things in our lives to be grateful for, regardless of how much we may want our lives to improve. Remembering to give thanks for those people and things is an important aspect of self healing. Start your day with just a few moments in silence, thanking the Creator for the good things in your life. Journal writing is a fantastic way to begin your journey into self healing. Try to set aside time to write in it daily if possible. Begin by simply journaling your feelings. Describe how you are feeling about different situations and people in your life. Don't hold back. This is your personal and private journal and it is important to discover your true feelings. You may be surprised at how you really feel about things, positively and negatively. Taking 20 minutes each day to still our busy selves and our busy minds in quiet contemplation is important for both self growth and self healing. So many of us don't take the time to sit quietly and connect with the Creator and our spirit side. Yet it can be one of the most effective ways to find inner peace and grow spiritually. Creative visualization helps us to move from concentrating on what is and begin seeing things as you would like them to be. It aids in developing a more positive attitude and also puts you more in the state of allowing the wonderful things you desire to begin to show up in your life (as per the law of attraction). The repetition of positive affirmations directs your subconscious mind to begin thinking in a different way. Along with visualization and meditation, daily affirmations can help reprogram us from the negative core beliefs we may have held for most of our lives. There are wonderful affirmations for all aspects of our lives written by other authors. Louise Hay has spent most of her life helping people with self healing and has written thousands of affirmations that help with a wide variety of health and emotional issues. You can also learn how to write your own positive affirmations that target the specific areas of life that are important to you. When you find ways to examine these core beliefs you open the door to change, personal growth and self healing. I cannot begin to tell you how much reading spiritual and inspirational books has helped me over the years. It can give you hope, help you find answers, make you realize you are not alone and really propel you along your chosen spiritual path. There are so many wonderful and inspiring writers whose books and CDs can aid in self healing. Begin to build your own library of uplifting books and CDs today if you have not already started. And have a look in our inspiration section for wonderful quotes, stories and poems that may be just the thing you need to read today. The chakras are energy centers in our body. They flow energy to and from all parts of our body. If you learn more about each of the major chakras you can more easily tell where you are holding negativity or which areas of your physical and emotional body need more attention. EFT is short for Emotional Freedom Technique. 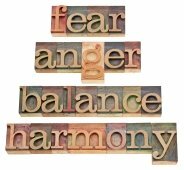 It is an easy to learn way to remove emotional blocks and fears that we may have held for years. Learning more about this technique and how to apply it in the most effective way for you is an excellent self healing tool. There are many alternative healing techniques that aid in your healing journey. Pranic healing and reiki both work by moving the energy within our bodies to create better health. I have personally had many pranic healing sessions and they have helped enormously, both physically and emotionally. Just make sure you locate a reputable practitioner in your area and give it a try. Our journey of self healing can be made much easier by using these simple but very effective tools. Starting out with even a few of these suggestions could really help you along your healing path. Read more about self healing and the mind body connection.